Sen. Bernie Sanders, I-Vermont, who says he is still considering a second presidential run in 2020, is teaming up with Democratic leaders in the House to put forward a series of bills that address one of the most talked about issues among voters: the rising cost of prescription drugs. The tactic of introducing bills to outline an aspirational agenda is one the progressive senator mastered in the in the past with measures on health care, equitable wages and climate change. On this topic, though, President Trump and his Cabinet have generally agreed that prescription drug prices are too high, leaving open the possibility that some of these Democratic bills could enjoy bipartisan support. Many of the principles outlined in Sanders’ bills ring similar to other ideas proposed by this White House. Sanders will hold a press conference Thursday with Reps. Elijah Cummings, D-Md., and Ro Khanna, D-Calif., to introduce three new bills aimed at bringing down the price of prescription drugs. 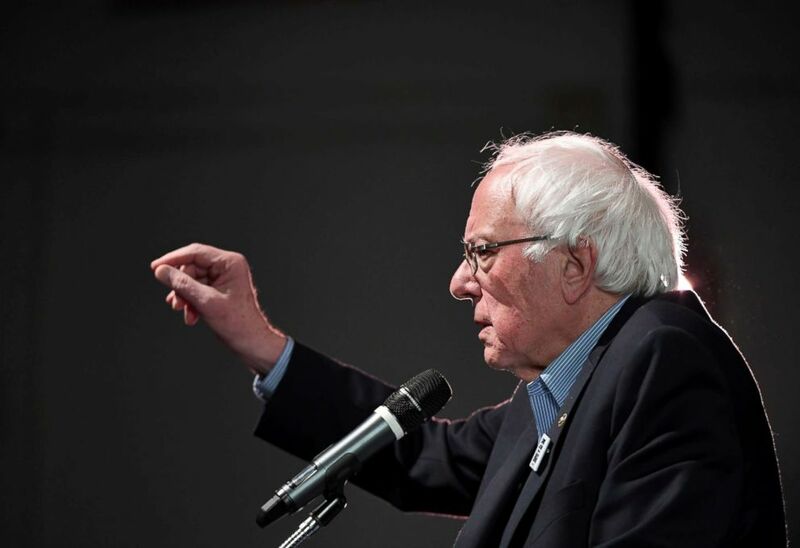 The issue was central to Sanders’ first presidential bid in 2016, and Democratic leaders have often cited it as a top priority for the party this year, too. Sen. Bernie Sanders speaks during a news conference regarding the separation of immigrant children at the U.S. Capitol on July 10, 2018 in Washington. “The United States pays by far the highest prices in the world for prescription drugs. 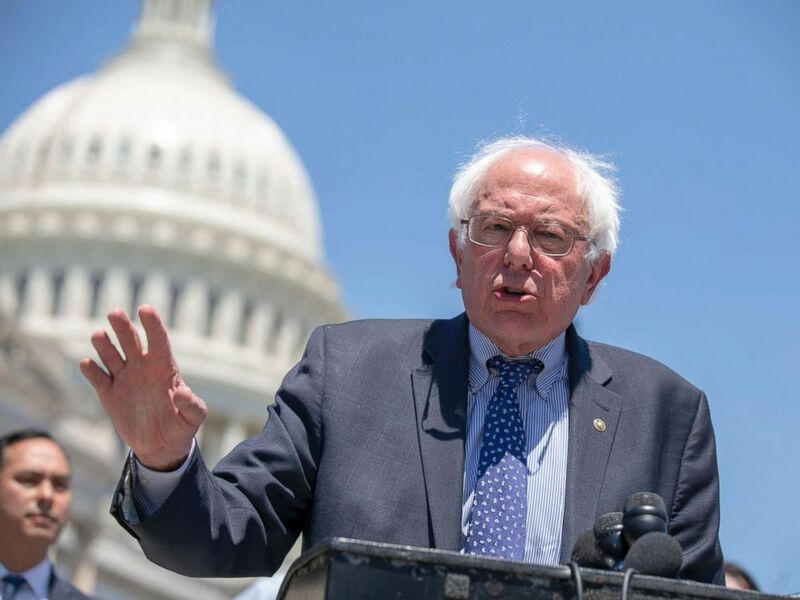 This has created a health care crisis in which 1 in 5 American adults cannot afford to get the medicine they need,” Senator Sanders told ABC News in a statement. “That is why I am introducing legislation to drastically bring down the cost of prescription drugs. “If the pharmaceutical industry will not end its greed, which is literally killing Americans, then we will end it for them,” he continued. Sanders’ staff says there will be over a dozen members co-sponsoring the bills. Last fall, President Trump, alongside his Secretary of Department of Health and Human Services, Alex Azar, also put forward an idea about establishing an “international pricing index” to guide pricing negotiations for drugs covered. The White House though focused mostly on negotiating on behalf of Medicare Part B enrollees. Part B covers doctors’ visits and a limited amount of prescription drug costs. A government report at the time concluded that drug manufacturers and distributors charged Medicare nearly double the prices seen in other countries. Experts say those proposals from the White House are in very nascent stages. Sanders’ proposals would expand the authority of the Secretary of HHS to negotiate on behalf of Part D enrollees, e.g. recipients with outpatient prescription drug coverage. Under current law, the HHS secretary is barred from negotiating directly with drug manufacturers on behalf of Medicare Part D enrollees. Tricia Neuman, senior vice president at the Kaiser Family Foundation, told ABC News that considering both the broad public enthusiasm for any new tools or ideas that would allow the government to negotiate lower drug prices as well as both parties’ stated concern on this issue, it is possible Congress and the White House could reach some bipartisan consensus in this space in the coming years. “But, who knows,” she quibbled on the phone. Neuman said that experts are currently debating and researching a variety of ways to lower drug prices, including methods for driving drug manufacturers to the negotiating table or emboldening the government to zero in on and set prices for specific types of drugs. The vast majority of the public support allowing the federal government to negotiate down drug prices for Medicare recipients, according to polling from the Kaiser Family Foundation. At the start of the year, “more than three dozen drugmakers raised the prices on hundreds of medicines in the U.S.,” according to an analysis from Rx Savings Solutions and the Wall Street Journal. Last year, two other senators eying possible 2020 runs, Sens. Elizabeth Warren, D-Mass., and Amy Klobuchar, D-Minn., each unveiled their own legislation on the topic, too.